Your day-by-day itinerary now includes Shiv Mandir as well as Gangtok Ropeway. And it doesn't end there: make a trip to Hanuman Tok, take a stroll through MG Marg, contemplate in the serene atmosphere at Enchey Monastery, and admire all the interesting features of Namgyal Institute of Tibetology. For where to stay, reviews, traveler tips, and more tourist information, refer to the Gangtok trip itinerary planner . New Delhi to Gangtok is an approximately 5.5-hour combination of flight and taxi. You can also drive; or do a combination of train and taxi. Expect slightly colder temperatures when traveling from New Delhi in January; daily highs in Gangtok reach 16°C and lows reach -1°C. Finish your sightseeing early on the 24th (Wed) to allow enough time to travel to Lachung. Keep things going the next day: admire the verdant scenery at Yumthang Valley, then appreciate the views at Yume Samdong (Zero Point), and then contemplate in the serene atmosphere at Lachung Monastery. For other places to visit, photos, more things to do, and other tourist information, read Lachung road trip tool . Traveling by car from Gangtok to Lachung takes 5 hours. In January, daytime highs in Lachung are 16°C, while nighttime lows are -1°C. Finish up your sightseeing early on the 26th (Fri) so you can travel to Pelling. On the 26th (Fri), contemplate the waterfront views at Teesta River, then explore the activities along Phushrey Lake, and then take in the spiritual surroundings of Aritar Gumpa Monastery. 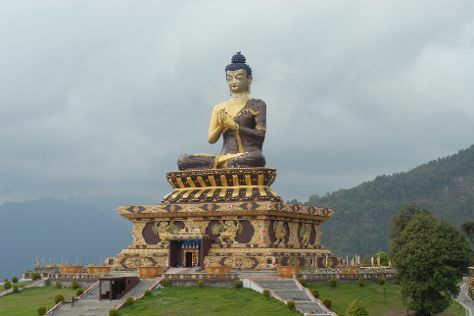 Here are some ideas for day two: tour the pleasant surroundings at Buddha Park, get great views at Rayong Sunrise View Point, then stroll through Maenam Hill, and finally admire the landmark architecture of Doling Gompa. To see photos, maps, where to stay, and more tourist information, read Ravangla holiday builder . Getting from Lachung to Ravangla by car takes about 5.5 hours. On the 28th (Sun), you'll travel to Namchi. Start off your visit on the 28th (Sun): take your sightseeing to a higher altitude at Tendong Hill and then contemplate in the serene atmosphere at Saibaba Temple. To see photos, maps, and other tourist information, read our Namchi itinerary planner . Traveling by car from Ravangla to Namchi takes an hour. 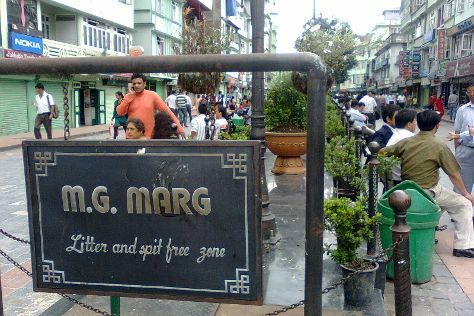 Wrap up your sightseeing on the 28th (Sun) to allow time to travel to Pelling. You'll find plenty of places to visit near Pelling: Yuksam (Tashiding Monastery & Coronation Throne Of Norbugang). 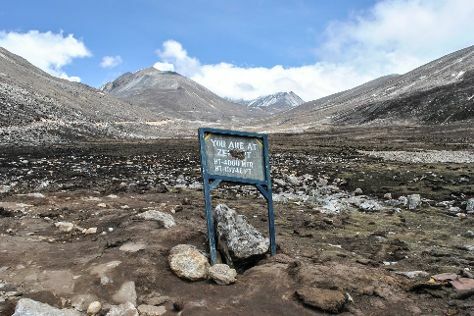 Next up on the itinerary: admire the sheer force of Kanchenjunga Falls, explore the activities along Khecheopalri Lake, snap pictures at Singshore Bridge Bungee Jumping, and delve into the distant past at Rabdentse Ruins. To find out how to plan a trip to Pelling, use our trip itinerary maker. Traveling by car from Namchi to Pelling takes 3 hours. Cap off your sightseeing on the 31st (Wed) early enough to travel back home.